Mothers are those special women in our lives. It’s natural for you to desire to make mother’s day special for her. And mothers love flowers and plants- as wonderful and tender like mother’s love! We’ve a huge collection of gifts including flowers and plants for mothers day, which can be delivered to your mother away from you if you wish! "The plants were really good and delivery was on time.. loved it! Thanks FNP for making my day...������"
"I just love your on time services and the products you have." Plants are the noblest of all gifts. Why? Because plants always enrich our lives with more of oxygen. In this current time of mass oxygen depletion, planting more trees has become more crucial. For all major festivals and occasions, a plant gift would make people more aware of the environment. The upcoming occasion is Mother’s Day which is a day dedicated to the love, care, and strength of a mom. To wish her a happy and healthy life, you can thus send plants for mother’s day. She would appreciate your choice of gift. From our wide variety of indoor or outdoor plants, you can pick up the best one and surprise her in a big way. 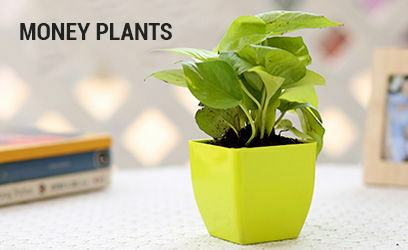 The air purifying plants like pothos, spider plant, dracaena plant, ficus plant, peace lily plant, snake plant, etc. The harmful toxins coming out of household objects would be cleaned and she would receive a better air to breathe in. Along with these plants, you can also send flower bouquets to her and set a satisfying smile on her face. Plants are an interesting addition to our space which not only provides us a better air quality but also enhances the aesthetic value of the home. The cute bonsai and terrariums would be pleasing home decor gifts for mom. These terrariums placed wonderfully in glass bowls and bonsai in various ceramic pots would be appreciated by your mom. Apart from these two, we also have broad categories of flowering plants, lucky plants, exotic plants, indoor plants, outdoor plants, spiritual plants, and medicinal plants on our portal. Hibiscus, rose, desert rose, peace lily, anthurium, jasmine, ixora, etc. are some of the amazing flowering plants. 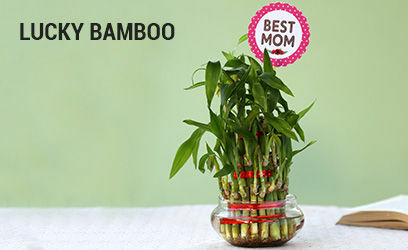 If you want luck, health, happiness, and prosperity to shower on your mom, you must get her the lucky bamboo plants and money plants. Aloe Vera, Ajwain, Basil, Elaichi Nimbu plants are some of the great medicinal plants you can order from our website. 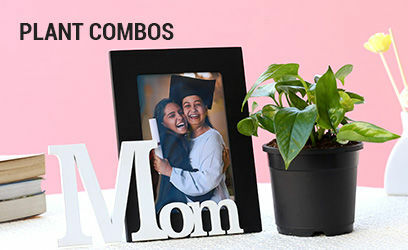 So, explore all these wide varieties of plants and get green gifts for Mother's Day celebration. Ferns N Petals has been a famous name in the world of flower gifts for two decades. It has now come up with some refreshing plants to please you all. A wide variety of plants – both indoor and outdoor are ready to make your major occasions and festivals unforgettable. 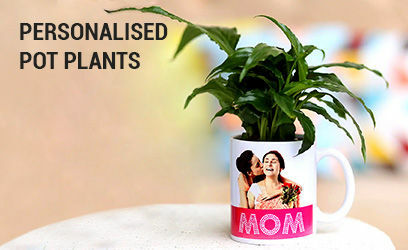 For this upcoming 13th May, you can send mother’s day plants online to anywhere in India and abroad using our excellent services. All the major metro cities, towns, and villages are covered by our services along with the important international locations like the USA, UK, UAE, Singapore, Malaysia, South Africa, Australia, etc. So, without any further delay, buy these wonderful plants and delight your mom. Apart from plants, you can also check our long list of cakes, flowers, chocolates, spa and cosmetics, accessories, etc. and make this day full of happy memories. Mothers are angels sent on the earth to nurture their kids. A mother loves her kids more than anything else in the whole world and makes several sacrifices to give them a better and healthier life. She deserves all the love and respect in the world for her hard work and efforts. Therefore, we bring to you a wide collection of lovely and funny Mother’s Day WhatsApp status that you can dedicate to your mother by posting them on your social media profiles. Reading such lovely status will melt your mom’s heart and get her teary-eyed. She’ll reciprocate her feelings with warm hugs and kisses on your cheeks.